In Riviera Nayarit luxury is our magic, and this magic attracts the most influential people from the entire world, and Lide (Lideres Empresariales) will celebrate its 17th annual meeting on October 10 – 13. Lide is the leading organization that assembles the most important Brazilian business owners, entrepreneurs and company executives, who have combined sales of over 150 million dollars per year, representing the 40% of the Gross Domestic Product (GDP) of Brazil. The St. Regis Punta Mita Resort will host this event, which will include the attendance of Brazilian leaders, including CEOs and executives of this South American country. Every year, these leaders organize a meeting abroad, where they not only analyze the economic situation of Brazil and get acquainted with new business tools, but they also host investment workshops with local entrepreneurs. This yearly event usually includes the participation of the government, state officials, governors and even presidents from both countries, so it receives major coverage in the national and Brazilian media. Several cultural and sports events are also organized, with the attendance of personalities from both countries. “The Brazilian market is becoming increasingly important to Mexico. 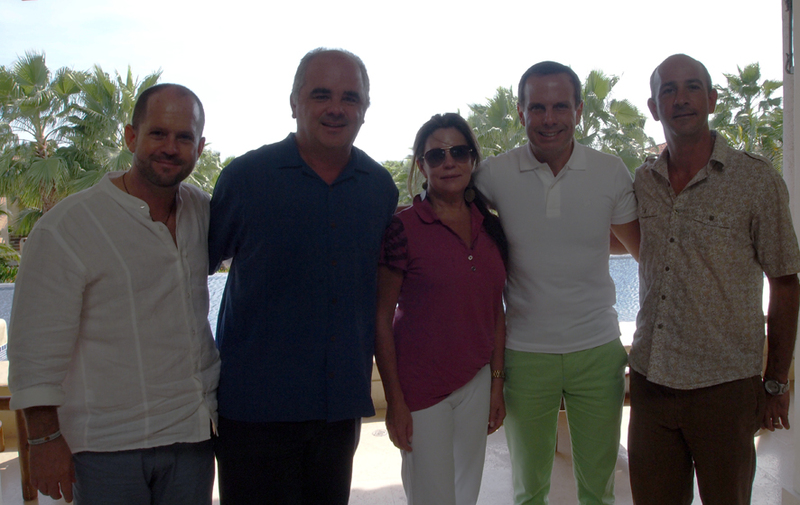 We feel honored to welcome this important group to Punta Mita, Riviera Nayarit, and we’re convinced that they’ll be able to celebrate an extraordinary event in our destination”, said Carl Emberson, general manager of St. Regis Punta Mita Resort.